Old Hollywood movie stills of the sci-fi classic, Star Trek Generations (1994) for sale. This is an actual surviving original set of lobby cards of the 1994 film which was the seventh film based on the cult Star Trek series. 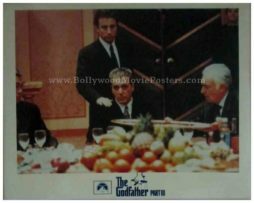 Printed and circulated during the first release of the film in India (1994), this set of old Hollywood movie stills was printed for publicity of the film inside a cinema hall. Featured here for sale is a set of 33 different black and white stills of the classic Star Trek film, Star Trek Generations! 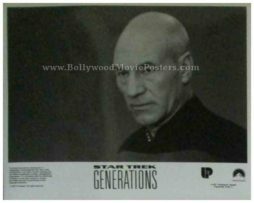 These old black and white still photos were printed to be used as pin ups on notice boards inside the foyer of a cinema hall in India that screened Star Trek Generations, but never ended up being used. Old Hollywood movie stills of the blockbuster hit, Born on the Fourth of July (1989) for sale. 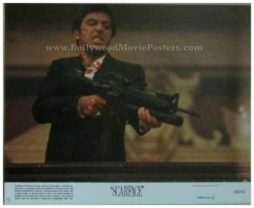 This is an actual surviving original set of lobby cards of the 1989 film which featured superstar Tom Cruise in the lead role. Printed and circulated during the first release of the film in India (somewhere in the early 1990s), this set of old Hollywood movie stills was printed for publicity of the film inside a cinema hall. Featured here for sale is a set of 10 different black and white stills of the cult classic, Born on the Fourth of July! Born on the Fourth of July was a massive success at the box office, winning two Academy Awards and four Golden Globe Awards and a Directors Guild of America Award. The film earned Tom Cruise his first Academy Award nomination, making this set of stills, highly collectible! 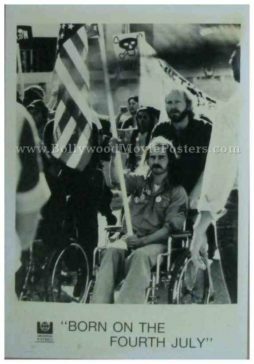 These old black and white still photos were printed to be used as pin ups on notice boards inside the foyer of a cinema hall in India that screened Born on the Fourth of July, but never ended up being used. Old Hollywood movie stills of the blockbuster comedy, American Pie 2 (2001) for sale. This is an actual surviving original set of lobby cards of the 2001 film which was the second installment in the American Pie film series. Printed and circulated during the first release of the film in India (somewhere in the early 2000s), this set of old Hollywood movie stills was printed for publicity of the film inside a cinema hall. 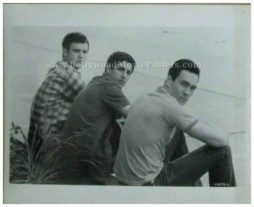 Featured here for sale is a complete set of 24 different black and white stills of the cult Hollywood comedy, American Pie 2! These old black and white still photos were printed to be used as pin ups on notice boards inside the foyer of a cinema hall that screened American Pie 2, but never ended up being used. As such they are in absolute mint condition.